If you are willing to check your eligibility for Express Entry in Canada, NepSort’s Guide For Canada Immigration which is prepared by the experienced Canadian immigration professionals will help how you can find your eligibility for the process. Express Entry process for Canada is completely point-based immigration system. The points you obtained from the various field of criteria determine your eligibility for Express Entry program. In general, those criteria which determine your eligibility are your nationality, age, level of education, your work experience, your language proficiency as well as job offer you obtained from the Canadian company. 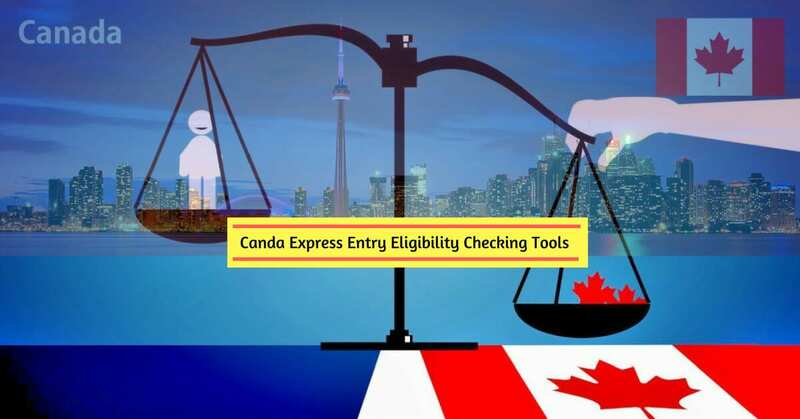 Express Entry Comprehensive Ranking System (CRS) also known as Express Entry point calculator is the tool used to determine your eligibility for this program. CRS point calculator determines your points based on the answer you provided on questionaries about your skills, education, language ability, work experience and other factors. The details explanation of Comprehensive Ranking System (CRS) is explained at — CRS Point Calculator for Canada immigration. The only authenticate way to find your eligibility and obtain your CRS score is from the official website of Government of Canada — Canada.ca. Below are the links to the official website of Canada.ca from where you can find your eligibility as well as obtain your CRS score. Usually, people get confused about eligibility tools and CRS score calculator. Eligibility tools tell you either you are eligible to apply for the express entry program or not. If you are not eligible, it will tell you why you are not eligible. If you are eligible to apply, you should create your Express Entry Profile. Here is the details explanation about how to create your Express Entry Profile. Thus, checking your eligibility and creating your Express Entry Profile is the first priority task for your Express Entry process. Whereas, CRS score calculator calculate your points based on your answer either you are eligible or not. But it does not tell you about your eligibility. It is important to understand that there is no minimum score for Canada Express Entry eligibility. Once you calculate your CRS score, you can compare your score with minimum CRS points required for the latest Express Entry Draw. If your CRS score is equal or above the minimum CRS point required, you have higher chances of receiving an invitation to Apply (ITS) for permanent residency in Canada. If you want to get the details process, it is explained at — Express Entry Immigration process for Canada.